Earlier today the fabled and noble Jason Torchinsky set out to find just how quickly a human could possibly accelerate to 60 miles per hour without dying. 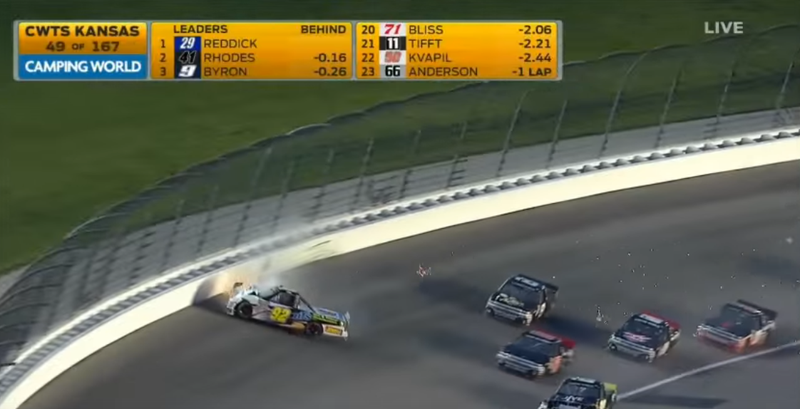 Then NASCAR driver Parker Kligerman joined in to describe what happens when you go from 60 to 0 into a wall. Hey Parker! I’m guessing you’re talking about this crash? Anyway, we hardly notice the twitching eye. Really! Also, I think you’re supposed to self-prescribe the tequila after waking up the next morning, not before. But what do I know, I’m in college.